The stars at last have aligned for mere mortals — ie. 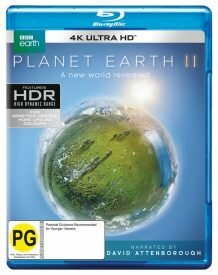 viewers and consumers — to buy Planet Earth II on Blu-ray or 4K-UHD. 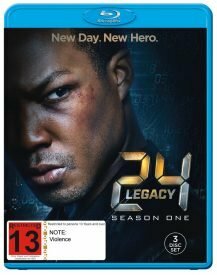 Prime delayed its broadcast by seven months, which meant the earliest the eye-popping sequel could go on sale on disc was this week. But the wait has been worth it, especially if you opt for the 4K-UHD (although it apparently has slightly different content to the Blu-ray and TV broadcast). “This is easily, hands-down, the most beautiful, stunning picture we’ve seen yet on the format, displaying razor-sharp details in every frame,” High-Def Digest declared. “The combination of native 4K resolution and HDR encoding renders the series’ wide assortment of creatures with such depth and immediacy that the image achieves a kind of hyper-realism in closeups, rendering fine textures and shadings of fur, feather and scale with an intensity that is almost three-dimensional,” Blu-ray.com said. “While this is certainly a reference 4K experience, it’s not quite perfect,” The Digital Bits observed. “Multiple 4K cameras were obviously employed to capture this footage and there’s a little bit of quality difference in the footage that probably results from simple improvements in camera technology during the production. 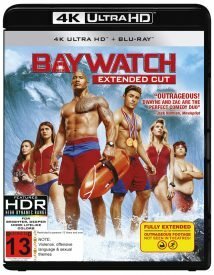 Also new on 4K-UHD is Baywatch, although it’s upscaled rather than native. 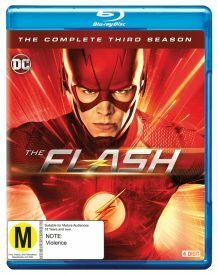 “The 2160p/HDR-enhanced picture looks very good, making for a satisfying little upgrade over the fantastic 1080p Blu-ray,” Blu-ray.com said. “With an aspect ratio of 2.35:1 (1080p HD) and shot using an Arri Alexa XT Plus camera with Panavision G-Series, ATZ, and AWZ2 lenses, the video quality of this Blu-ray disc is pretty spectacular,” DVD Talk said. 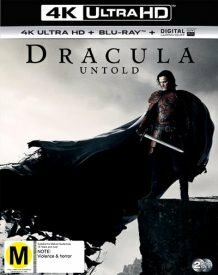 And getting unearthed off for a 4K-UHD re-issue ahead of next week’s release of The Mummy are Van Helsing and Dracula Untold.